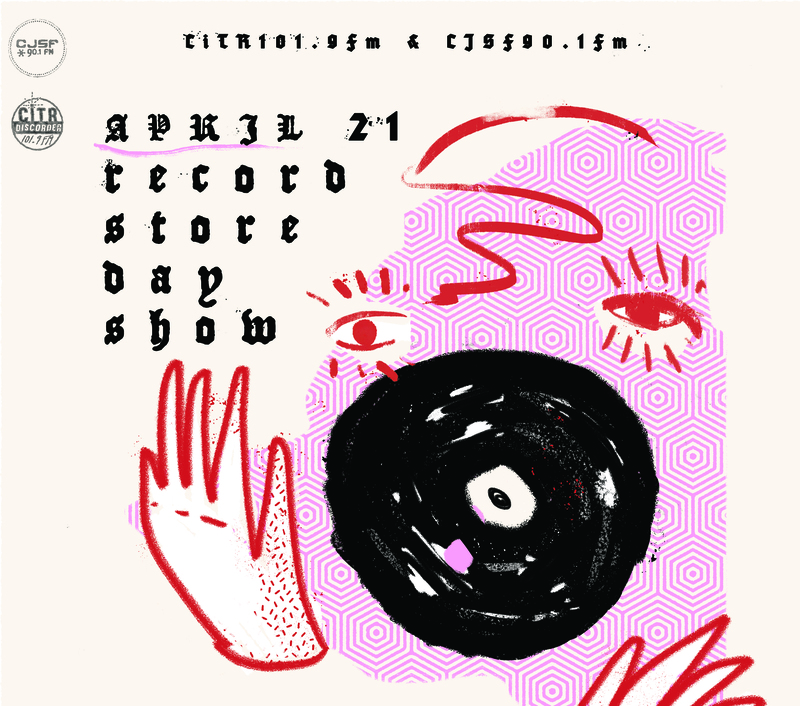 Home » 2018 Record Store Day Show: coming April 21! Next Saturday, come to the 2018 Record Store Day Show at Stylus Records (Unit 99-291 East 2nd Ave, Vancouver), curated by CiTR 101.9 FM and CJSF 90.1 FM. This event is all ages! $10 or PWYC, doors open at 6pm. Can't make it to the show? Tune in to 90.1 on your FM dial or log in to cjsf.ca to listen to live performances from each of the bands playing at Stylus Records! Visit the RSD 2*18 - Pale Red//Necking//Echuta//Hazy//Bedwetters Anonymous Facebook event page for event updates, including set times. CJSF volunteers: interested in helping out at this event? Drop a line to Chris (PR Coordinator) at cjsfpr@sfu.ca or Devon (Volunteer Coordinator) at vol4cjsf@sfu.ca! This event is hosted on the unceded territories of the sḵwx̱wú7mesh (Squamish), sel̓íl̓witulh (Tsleil-Waututh), and xʷməθkʷəy̓əm (Musqueam) nations.